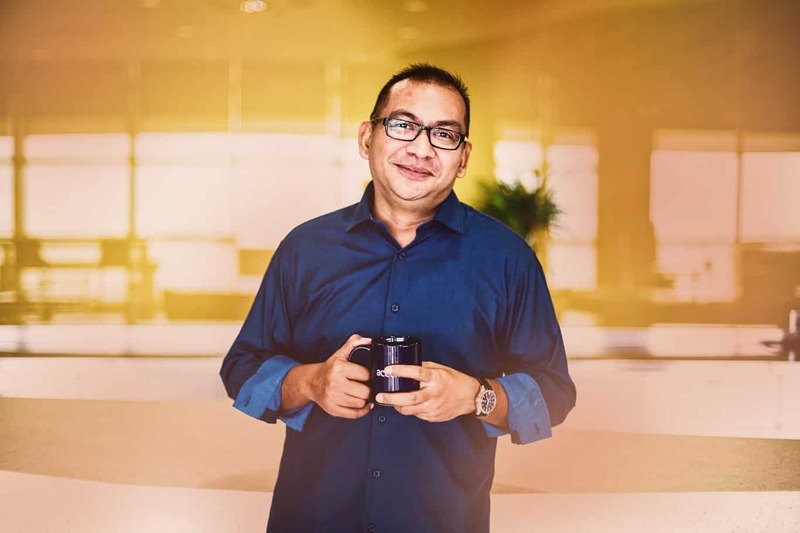 Marketing In Asia interviewed Mr. Azwan Baharuddin, Accenture Malaysia’s Country Managing Director about his 2018 marketing wish list. Share with us about Accenture Malaysia and your role in the organisation, as if we are a 7-year young kid. Accenture is like the Avengers. There are many special people with special talents. They can do wonderful things – and when they work together, can achieve great things, like change/save the world. I am like Nick Fury. I have to know everyone’s special powers and decide who to call to help in different situations. There’s a war out there as brands are struggling hard to acquire attention from the market. How do you plan to rise above the noise this year? Accenture has recently launched a new brand positioning called “New applied now”. We wanted to establish Accenture in a leading position. At the leading edge of technology, business strategy and digital transformation, we are constantly looking to what is NEW. Furthermore, we are constantly defining and redefining the NEW to remain in a leading position. The ‘applied’ metaphor is akin to terms like applied mathematics, applied science and applied research. We are applying all things NEW and doing it now, to lead in the market. So our brand positioning has moved from “high performance delivered” to “New applied now”. Where do you see the company is heading to in the next 5 years? I think that when it comes to Accenture and our capabilities, we are in a fantastic position, because we are technology independent. We partner with all of the traditional leading players in the technology ecosystem, whom we know through Accenture Ventures and an initiative called Open Innovation. We are also methodically focused on and investing in innovation for Accenture and our clients. Our Innovation Architecture represents our intentional investment to bring the New Applied Now to whatever we do. With the Innovation Architecture, we use an innovation-led approach to help our clients develop and deliver disruptive innovations, and to scale them faster. This approach begins at one end with research and ventures, followed by design, prototyping and scaling solutions in labs, studios, innovation and delivery centers then activating our delivery capability. That’s a great framework to ensure we can always deliver the New applied now, and it is the same framework that we have all over the world. Do you think Marketing can help Accenture Malaysia to be more out there, winning hearts and eventually deals? We see every industry being disrupted, and the disruption comes from innovation in technology. It’s fair to say disruption is going to continue and we see this throughout our clients in many different industries including our own. This is an era of constant disruption. So for Accenture, we must always be thinking about what is new, what is going to change, how it’s going to drive change with our clients, and how we can help them be prepared to compete more effectively, enter new markets, and create new offerings and capabilities to better serve their customers. From a marketing standpoint, it is about being even more respectful of our clients and trying to ensure that we are well-equipped and prepared to leverage tools like precision marketing capability to provide our clients the most relevant information. Information that they can really use at times when they’re ready to receive it and want to engage with us. One of the coolest things about marketing today is that things we once dreamed of are now a reality. Today it is possible to identify a world of clients who are interested in capabilities that we have to offer, to engage them in a dialogue that’s relevant to them, and, hopefully, to develop a relationship where we can work together and co-create something. I think there has never been a more exciting time to be in marketing. Which part of marketing element in your opinion that can contribute significantly towards achieving Accenture Malaysia objectives, is it better content, more creative social media play, traditional marketing, networking events, corporate partnerships or other specific channels? Brands today are created by a series of interconnected experiences people have with a company across multiple, increasingly digital, channels. Customer experience now requires a new level of connectivity between marketing, business and technology. The digitization of almost everything is fundamentally changing the way brands attract and engage customers. There will always be new ways to interact with customers and this requires innovative thinking and skills to help reimagine every aspect of the customer and user experience. We are passionate about viewing every aspect of our own and our clients’ business, as well as society because we want to see a ‘Malaysia Reimagined. Now’. This is actually our tagline and message that we are bringing to the market. We approach marketing and other aspects of our business with this same frame of mind, striving to reimagine our industry, our clients, and the impact we can have on Malaysian society. Pick two out of these social channels that best describe Accenture Malaysia’s favourite platforms: LinkedIn, Facebook, Twitter, YouTube, Snapchat or Instagram? Well, a key group of our audience are C-level executives who are more likely to seek out great content through industry networking. LinkedIn does that well and I use it regularly to share my thoughts on market trends and tech developments. I view Facebook as more of an ‘all-rounder’, able to reach both the younger crowd as well as the experienced professionals who may be looking to get a feel for who we are. I believe Facebook provides a wide canvass for us to share in any mode (photo, video, text). With the convergence of experiences across multiple channels, we will utilise any and every channel available to reach out and get the ‘Malaysia Reimagined. Now’ message across. And with the availability of digital technology, the opportunity to share more to a wider audience means we employ an integrated marketing approach for each marketing initiative as we reimagine new ways to connect with the different audiences. Same here. Integrated marketing is the way to go in this digital age. All marketing methods/channels can be creatively harnessed to carry our message. The onus is on us to reimagine how each channel be best utilised and customised to be right on target for our objectives. Your wish list for marketing this year would be? Share with us your top 5. Continue to build the Accenture brand in the market. Currently, we are ranked among the top 50 in Interbrand’s Best Global Brands 2017. To continue to attract top talent and build ourselves as an employer of choice. In Malaysia, we are currently ranked #28 by M100 and globally, for 10 consecutive years (2009-2018), Accenture has been recognised by Fortune in its 100 Best Companies To Work For list. Continue to share how Accenture has pivoted to the NEW. For example, we are competing in new spaces – Ad Age has named Accenture Interactive the largest digital network, both worldwide and in the U.S., in its Agency Report 2017. This is the second consecutive year in which Accenture Interactive was ranked the largest digital network. The analysis is based on an evaluation of more than 700 agencies, networks and companies. Collaborate even closer with our clients to help them enter new markets or do new things keeping in mind one of our hallmark is our brand positioning around “high performance delivered”. We are known as a great delivery partner, and, over the last year and a half, we have broadened our focus to go long on the concept of being a true innovation partner to our clients – Journeying together in their transformation process in the midst of constant changes in technology and strategy. Build on our innovation – In our quest to always be in the NEW, we have taken bold action to drive differentiation by putting in place the Accenture Innovation Architecture. One that methodically focuses and invests in innovation for Accenture and our clients. This includes setting up research centers and labs, design studios, innovation and delivery centers and our investment in early and growth stage companies. These facilities provides us the resources to do rapid prototyping and show our clients what is the NEW, instead of just telling them. This innovation architecture is the framework that we apply when we bring the New Applied Now to everything we do. Through my LinkedIn Account (Azwan Baharuddin). Anything you wish to share to the readers? It is an exciting time to be in Malaysia right now. Some may look at the inflation of consumer goods, and currency rates as indicators of a slowing economy in the past couple of years. But at the technology and digital developments here and worldwide, those are giving us an opportunity to leapfrog our country to the future, and a better lifestyle for all Malaysians. I truly believe that what I do, and all my colleagues in Accenture do, goes towards reimagining Malaysia for the future. And we’re doing it, not tomorrow, but now. However, to see a ‘Malaysia Reimagined. Now’, is not the work of just any group of people, it requires all Malaysians to be willing to challenge the way we live, imagine a better life, and courageously bring in the New Applied Now.